Transforming the lives of incarcerated youth one film at a time. FYI Films empowers youth affected by the juvenile justice system to improve their lives and become self-reliant. Through media literacy and the creative story-telling process, youth find their voice and gain valuable skills that are transferable to all areas of their life. Founded in 2004, FYI FILMS has produced over thirty-five film workshops with youth in LA County, Guam and Hawaii. In these workshops, youth write, direct and perform their own short narrative films based on their past. By making films informed by their own immediate history, the process of filmmaking helps them to gain perspective on their lives. FYI FILMS regularly screens these films to policy makers, giving them insight into the lives of young people from economically disadvantaged communities, and thus helps inform them as they craft policy regarding juvenile offenders. FYI FILMS is a high impact program, and through a three year study, has proven to put a serious dent into recidivism rates in LA County. FYI FILMS continues to change the lives of incarcerated youth. To date, the organization has helped to make over fifty-five films by offering high impact film workshops to a population that is both underserved and marginalized. FYI FILMS believes that every young person deserves a second chance to turn their lives around. 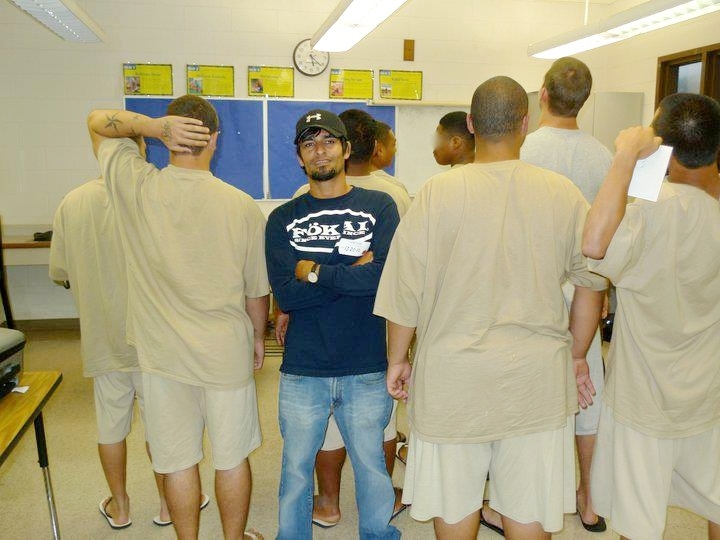 Telling stories helps incarcerated youth gain invaluable perspective on their lives. By giving them the tools to make short, dramatic films based on their own personal and immediate history, it renders their past unrepeatable. "FYI Films has identified a potential nexus between California's thriving film industry and the need to provide an outlet and creative opportunity for young people who find themselves in trouble with the law." The premiere of Alex Muñoz’s first film, Riot, a movie on Showtime which investigated the civil unrest following the Rodney King verdict, was abruptly shut down by a group of young black activists. The activists interrupted the screening, held at the First AME Church in South Central Los Angeles, to protest Hollywood's insensitivity to underserved communities in the area of jobs training, workforce development and inclusion. Most of the producers fled the scene, intimidated by the demands of the activists, but Alex stayed behind to engage with the activists. After two hours of heartfelt discussion, they screened the movie and an in-depth dialogue emerged around economic and educational justice. Following the screening, Alex approached the activists and asked, "what can I do?" Beau Taylor, the leader, challenged Munoz to teach a film class at Heman G. Stark, a youth corrections facility where they incarcerate the most violent youth offenders. The following week, Alex conducted a two hour film class with 35 incarcerated young men from across the country, most of them gang affiliated. During the break, Alex stepped outside and when he returned, his favorite pair of sunglasses were missing. He made a polite plea to return his sunglasses and stepped outside to create an opportunity for the youth to find resolution. When he re-entered the class, a Latino/Black student stood up and said, "Munoz, you can have your sunglasses back on one condition." Munoz asked, "What is that?" They responded, "You can have your sunglasses back if you promise to come back and teach us more about filmmaking." At this point, FYI Films was born. Alex returned six months later and conducted a weekend workshop with the youth. From there he conducted a month-long workshop, followed by a semester-long class. Munoz then brought FYI Films to LA County Probation camp David Gonzalez. The non-profit organization Visual Communications signed on to become the fiscal sponsor for FYI Films and by 2010, FYI Films became an official non-profit organization. With strong supporters like SONY Pictures Entertainment, Seagate Technology, Black Hollywood Education Resource Center, Hispanics in Philanthropy, the Rothman Foundation and the Larson Charitable Fund, FYI Films continues to serve incarcerated youth in LA County, Hawaii and Guam. Additionally, FYI Films spearheaded a beta project in which they conducted two film workshops with the youth of the UTE Mountain UTE Tribe in Colorado from 2015-2016.